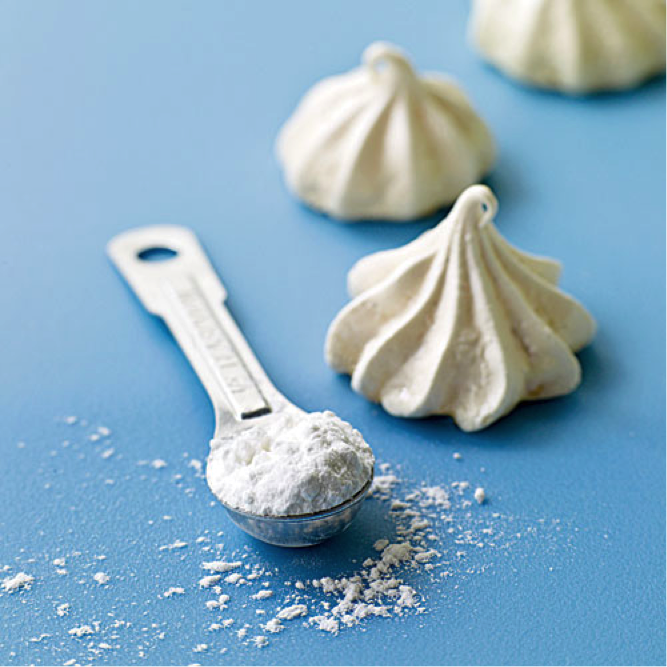 Everybody knows that cream of tartar is used to make the best meringue and whipped cream. This ingredient is able to work serious magic in the kitchen – it stabilizes your creams, adds unbelievable volume, thickens your soups and stews, and acts as an anticaking agent. The best part is – cream of tartar can be easily substituted in emergency cases with simple ingredients we all have in the kitchen! However, the uses of this powder extend beyond cooking. Acidity makes it perfect for all sorts of jobs in the house, from stain remover to silver polisher. Once you have discovered the many uses of this plain-looking powder you won’t be able to live without it! This multifunctional ingredient can be used for cleaning the sink, oven, burned pots and pans, or to remove mold and mildew. Mix it with some white vinegar to obtain a paste, then apply it on the affected area. Let it work its magic for a few minutes, then rub with a kitchen sponge and wash. For easier application, keep the paste in a plastic squeeze bottle. Ugly, scratched or stained dishes and mugs are no longer a problem! Mix some cream of tartar with water until you get a paste. Apply this paste on the scratches/stains and rub with your fingers, then simply rinse with water. Sprinkle the inside of your pot with some COT and fill it with boiling water. Let it cool for about 10 minutes, then wash. No more stains and ugly whitish deposit on the bottom! This magical powder is a great substitute for baking powder. Simply combine two parts of COT with one part of baking soda and you’ve got yourself a gluten-free leavening agent! All your stainless steel appliances will be clean and shiny again if you just combine ¼ cup of cream of tartar and one cup of white vinegar. Scrub the stainless steel with a sponge dipped in this mixture, then use a damp cloth to wipe. Polish your silverware by using only cream of tartar and a damp sponge (or, even better a ‘magic eraser’ scrubber). Combine ¼ cup of baking soda, one teaspoon of COT and some water to make a paste. Apply it on the rusty spot, let it rest for about half an hour, then wipe it clean. Make a mixture with a tablespoon of lemon juice and two tablespoons of cream of tartar. Rub it on the copper surface, then wipe with a damp and clean kitchen cloth. Remove even the most persistent stains from your carpets and clothes! Mix this amazing powder with some lemon juice until you make a paste and rub it on the stain. Let it sit for at least an hour, then wash the usual way. To remove stains from shirt collars, simply apply some cream of tartar directly to the stain. First, wet the collar with water, then apply the powder and rub. Wash as usual.